Brasserie X, the Quality Hotel Residence's à la carte-restaurant, offers a great variety of food and beverages. We also have a bar and an outdoor terrace. Come and dine with us! The Brasserie X restaurant concept combines the traditions of French brasserie food with high quality Nordic ingredients. Our food philosophy builds on simple, tasty dishes cooked from scratch, and our chefs put together a seasonal menu to create a culinary experience that is fitting for the beautiful Jæren landscape. Bar X, situated next to the restaurant, is a cocktail bar where guests can enjoy delicious drinks in a trendy yet relaxed atmosphere. Our wedding menu is varied and we very much hope you'll find something that fits your needs! But we can always make special arrangements in case you have ideas of your own that you'd like to share. Our experienced chefs and waiting staff will do their utmost to make your day as perfect as possible! 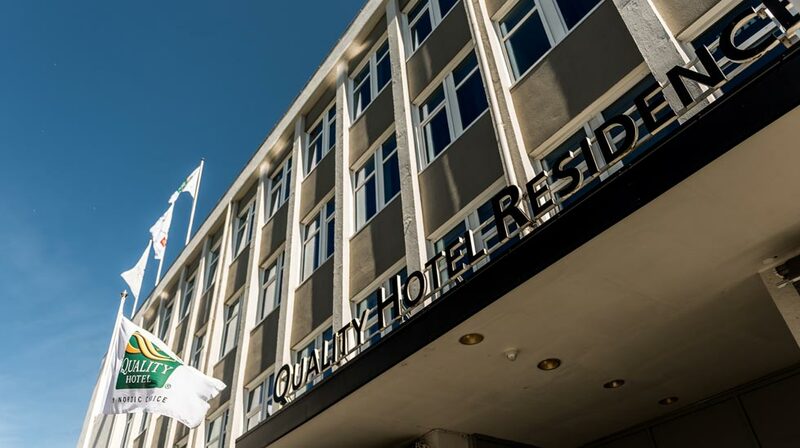 Here at the Quality Hotel Residence Sandnes, we have extensive experience of planning and hosting weddings, celebrations and other events. We can arrange both conference rooms and accommodation to suit all kinds of different groups. Read more about our events facilities here. For more information or to make a booking, please don't hesitate to contact us on +47 51 60 57 00 or at q.residence@choice.no .